There are so many reasons to love Sullivan’s Island! With miles of quiet beach, a rich history and a friendly and inviting community, the residential island is a prime location for Charleston locals to kick up their feet. Easy island living is what Sullivan’s Island is all about. Located just 10 miles from downtown Charleston, this island and town is home to families, retirees and anyone who enjoys the slow-paced coastal lifestyle. With a total area of 3.4 square miles, Sullivan’s Island is on the smaller side. But what it lacks in size, it makes up for in beauty, charm and history. Settled in the late 1600s, the island is named after Captain Florence O’Sullivan, who arrived on one of the first fleets to create the new settlement in Charleston. The lack of development on Sullivan’s Island has allowed it to retain its pristine natural beauty, making it one of the most beautiful beaches in the Lowcountry. With just under 2,000 residents, Sullivan’s Island is home to a tightknit but welcoming community that appreciates understated charm over flashy indulgences. While the island’s population rises in the summer, locals enjoy much less tourism than Charleston’s other barrier islands. It isn’t difficult to see why locals love Sullivan’s Island. 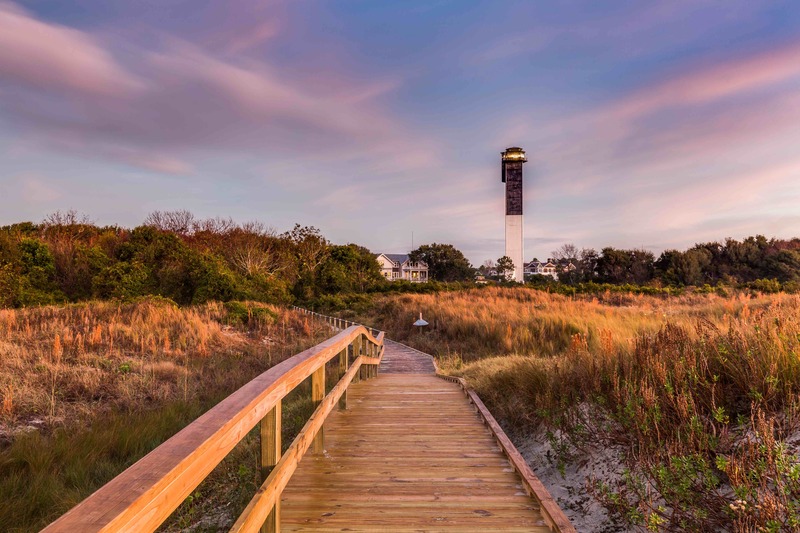 This stunning barrier island offers a wide array of beach activities and watersports, historical landmarks and wildlife viewing opportunities, as well as some of the best food in the Lowcountry. Whether it’s a weekend retreat or a day trip, you’re sure to fall in love with Sullivan’s Island for the same reasons the locals did. One of Charleston’s most natural and beautiful barrier islands, Sullivan’s Island is more than a romantic retreat for tourists. With little development and a clean shoreline, living on the island is akin to having your own private oasis. Although the island itself is small, Sullivan’s Island has a vast beach with sandy dunes and wild, coastal vegetation. There are no piers, touristy beach shops or convenient stores along the beach — just calm and quiet as you enjoy the island’s unspoiled landscape. Sullivan’s Island is undoubtedly one of the best Charleston, S.C. beaches for those who enjoy their peace and quiet. 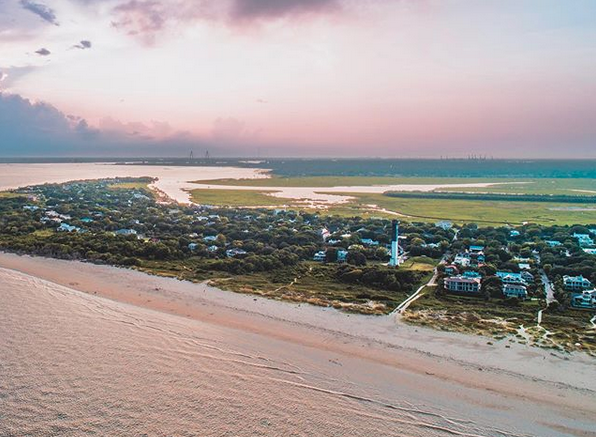 Compared to Isle of Palms and Folly, Sullivan’s Island is secluded, pristine and utterly romantic — especially when the sun begins to set over Arthur Ravenel Jr. Bridge and the historic lighthouse. Every Charleston beach has unique characteristics that make it distinct. The lack of commercial development makes Sullivan’s Island stand apart from other islands. However, keep in mind that there are no lifeguards or public restrooms on the beach. There are also no bars or restaurants along the beach. While this may seem like a disadvantage, it does an amazing job of keeping Sullivan’s Island secluded, private and clean. For locals, no bars or restaurants isn’t a downside. In fact, it presents the perfect opportunity to bring a picnic and enjoy the privacy and serenity of Sullivan’s Island. And of course, there are bars and restaurants just a few blocks away in the middle of the island. In keeping with the secluded, small-town feel of Sullivan’s Island, there are no hotels, motels, bed-and-breakfasts or other types of temporary lodging. The nearest hotels are in Mount Pleasant. Although this might seem inconvenient to some vacationers, locals love having the island mostly to themselves. With both Charleston and Mount Pleasant less than 15 minutes away, Sullivan’s Island can get away with having no transient lodging. Mount Pleasant locals don’t mind the policy either. In fact, many locals from the Mount Pleasant area ride their bikes across Ben Sawyer Bridge — less than 15 miles roundtrip — to spend the day at on the island and enjoy the secluded beach. Charleston is steeped in history, and Sullivan’s Island is no different. Locals have experienced many of the historic landmarks on the island, but who wouldn’t enjoy living in an area so rich in history? Since its settlement in the 17th century, the defensive sea island has played a key role in the nation’s military operations. 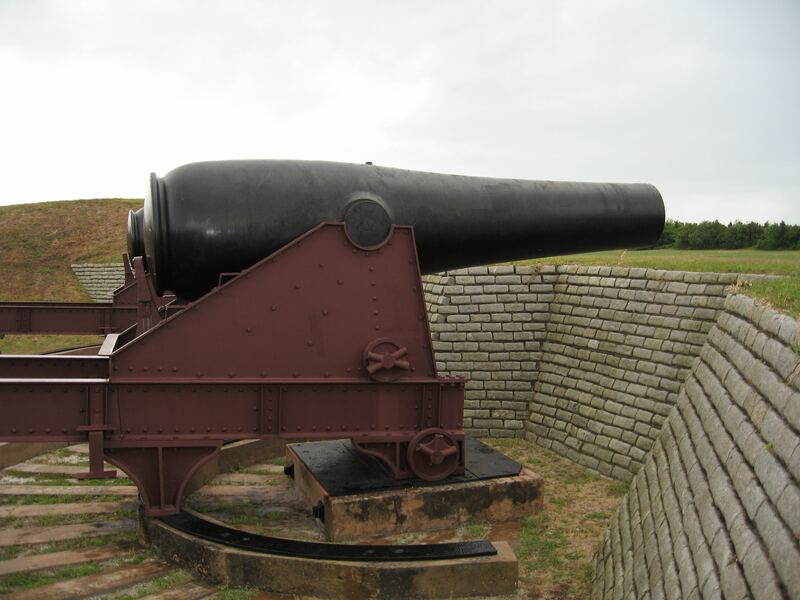 Fort Moultrie has stood strong on the island for over two centuries and receives tourists daily. Although most locals have explored the museum and interactive exhibits at Fort Moultrie, many still enjoy exploring the grounds after hours. Fort Moultrie closes at 5:00 p.m., but the grounds are open 24/7, and many locals come for the peaceful views of the Charleston Harbor. With such charm and history, it’s not surprising that Edgar Allen Poe was inspired to write “Goldbug” while stationed here in 1827. If you’re a fan of the gothic writer, be sure to stop by the popular Poe’s Tavern restaurant. During peak tourism season, Sullivan’s Island gets its fair share of visitors. Still, the crowds aren’t nearly as bad as on Charleston’s other barrier islands. When the off season arrives — roughly, October through February — locals get to enjoy their sleepy beach town to its fullest. The parking is less harried, favorite eateries are no longer packed and the frenzy of summer vacationers is finally gone. You’ll still find people out and about, enjoying a casual bike ride or walking the dog. However, everyone is quiet and respectful of the town’s noise ordinance. Sullivan’s Island may be your quintessential sleepy beach town, but there is a never-ending list of things to do here. From kayaking and backwater paddling to exploring the shopping opportunities along Middle Street, locals have a vast number of amenities and activities at their fingertips. Sullivan’s Island is every water-lover’s dream come true. From kayaking and wind surfing to swimming and paddleboarding, the island offers a wide array of water sport activities. The calm waters on Sullivan’s Island are ideal for swimming, while the strong, steady winds make it perfect for kiteboarding and sailing. Although you won’t find any water sports equipment rentals on the beach, there is a rental shop on Middle Street, the main drag of the island. Sullivan’s Island is also ideal for fishing. Whether you’re angling for flounder or bluefish at Breach Inlet or setting out on a world class fishing charter, the lush marsh estuaries and inlets surrounding the island make it the perfect place to cast your line. Sullivan’s Island may be small, but some of Charleston’s best cuisine can be found on this barrier island. From fancy eats served in elegant spaces to funky beach taverns with tons of character, you’ll never get bored with the dining options on Sullivan’s Island. 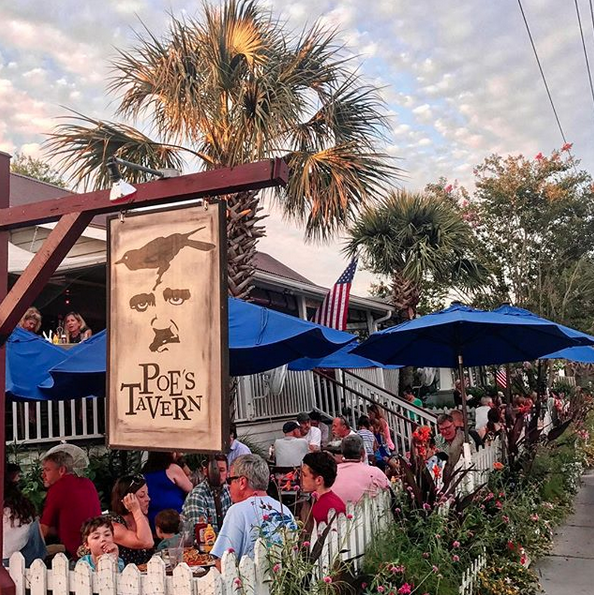 You can’t bring up eateries on Sullivan’s Island without mentioning Poe’s Tavern. As previously mentioned above, this literary-themed tavern is decorated with Edgar Allen Poe’s best works and has a great atmosphere. Poe’s Tavern also has the best burgers in all of Charleston, and we aren’t just saying that: It was voted “2018 Best Burger” by the Charleston City Paper. Burgers aren’t the only thing on the menu at Sullivan’s Island. Stop by High Thyme for lunch and enjoy fried duck breast with smoked gouda grits while listening to live music. Craving some barbecue? Bring the entire family to Home Team BBQ for mouthwatering smoked meats and savory sides. Want something a bit more upscale? The Obstinate Daughter has a great selection of modern and unique cuisine. Although you might wait a bit for a table, the dining experience will be worth it. History buffs will want to check out Fort Moultrie, located on the east side of the island. Known for its role in the Revolutionary War and Civil War, the famous seacoast defense is full of rich military history. The entire family will enjoy Fort Moultrie’s museum, interactive exhibits and stunning views of the Charleston Harbor. Sullivan’s Island also has a dark past that can’t be ignored. The island was the port of entry for hundreds of thousands of African American slaves during the height of the international slave trade. Fort Moultrie has an exhibit concerning the painful history of the slave trade on Sullivan’s Island, and there is a commemorative bench on the island for people to sit and contemplate this chapter of our nation’s past. Need to balance the dark with some light? If you can’t get enough of Charleston’s lighthouses, be sure to check out the lighthouse on Sullivan’s Island. Built in the 1960s, it is commonly known as “Charleston Light” and is steeped in Lowcountry lore. Set inside the renovated Battery Gadsden, Poe’s Library is packed with books — including all of Edgar Allen Poe’s famous literary works. Although this quaint library isn’t big, you could easily spend an entire afternoon learning about its history and losing yourself in a good book. Poe’s Library regularly features programs for children and adults alike. From board games and DIY crafts for the kids to writing workshops and book clubs for adults, the library is a special gathering place for locals. Seeing loggerhead turtles in their natural habitat isn’t easy. Although you might see an adult loggerhead turtle come up for air from your boat on the ocean, witnessing tiny hatchlings emerge is incredibly rare. Although your chances of seeing one on Sullivan’s Island is still rare, they did have a record high of 15 nests in 2016. 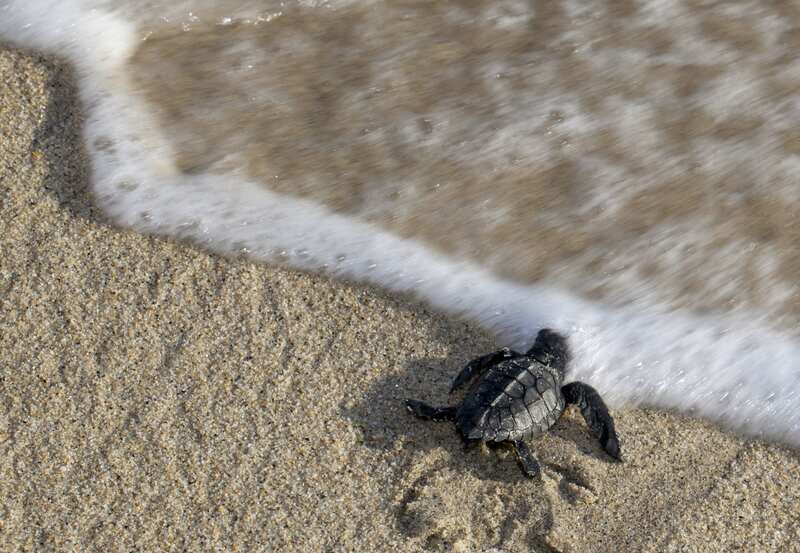 The sea turtle nesting season is May through October, but the nests hatch from July through the end of October. Volunteers walk the beach early in the morning to identify tracks and alert the Island Turtle Team, who helps relocate eggs to protect disoriented hatchlings. If you do see a sea turtle or their tracks, report it to the South Carolina Department of Natural Resources and the Island Turtle Team. Keep in mind that loggerhead turtles are an endangered species and that the island goes to great lengths to protect them. Disturbing them in any way can result in a fine of up to $25,000 and a year’s imprisonment. As you walk along the beach during sunrise, keep your eyes out for them and you might get lucky. Just remember to keep your distance and avoid using flash photography. As you can see, there are tons of reasons to love Sullivan’s Island. History at every turn, exceptional dining spots and miles of quiet shoreline make this laid-back beach a hotspot for locals. If you’re ready to call Sullivan’s Island home, we’ve got the folks to help you do it. Chat with a Sullivan’s Island expert and find out why the island is one of the most desirable places to live in Charleston.